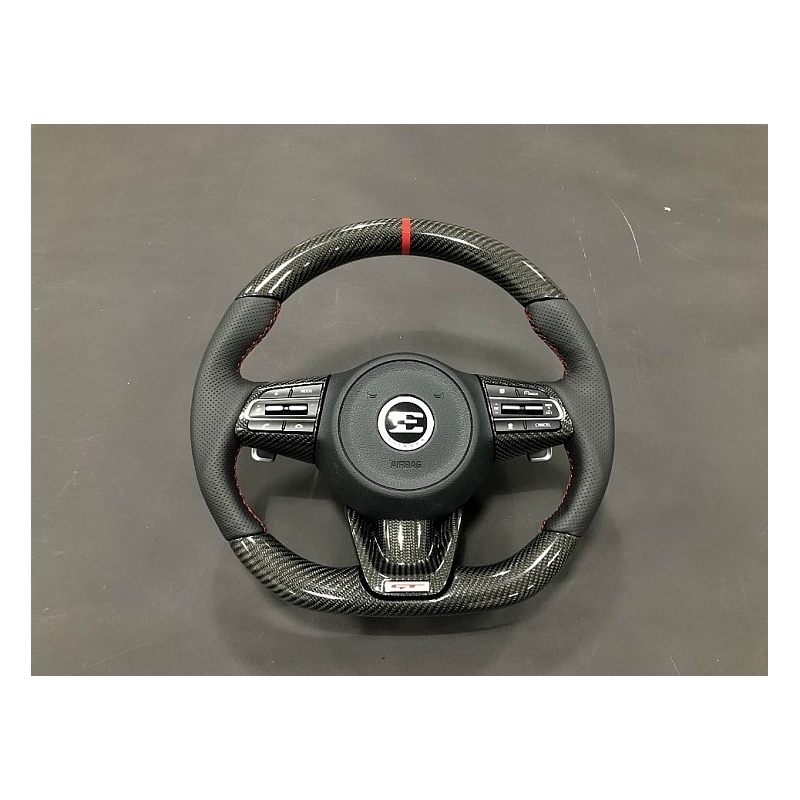 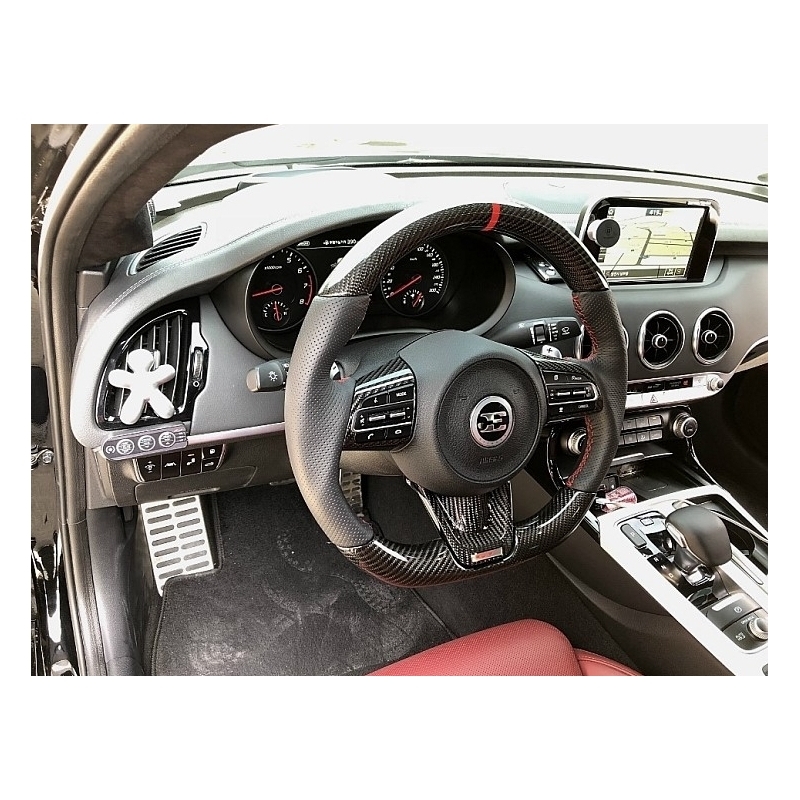 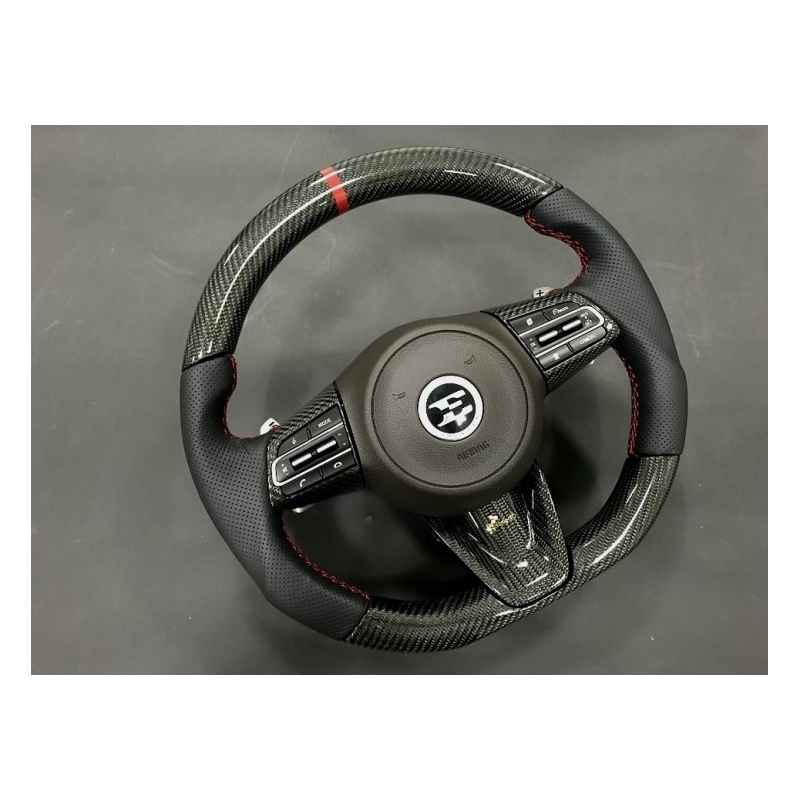 3.3 GT Carbon Fiber D-Cut Steering Wheel for Kia Stinger 2017+ is custom made using oem black steering wheel, wrapped in real carbon fiber. 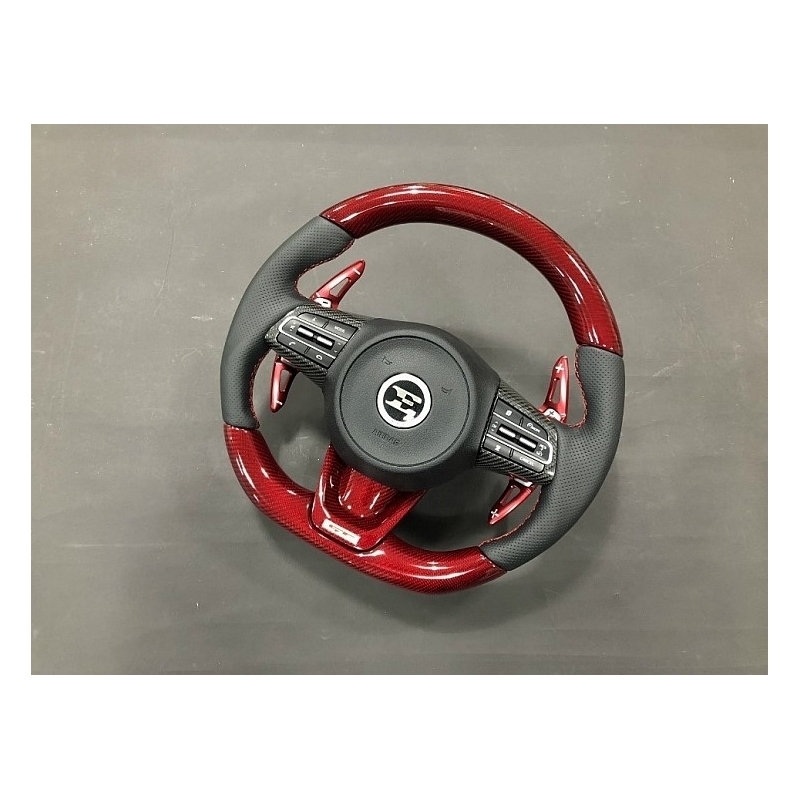 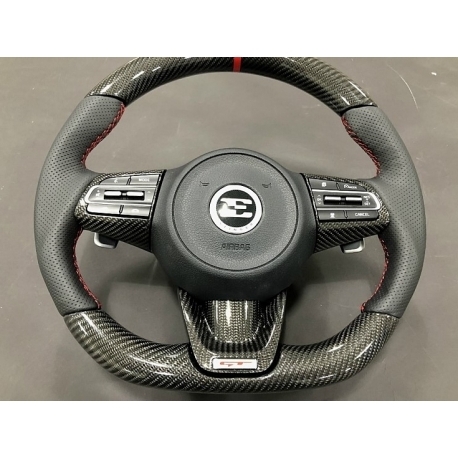 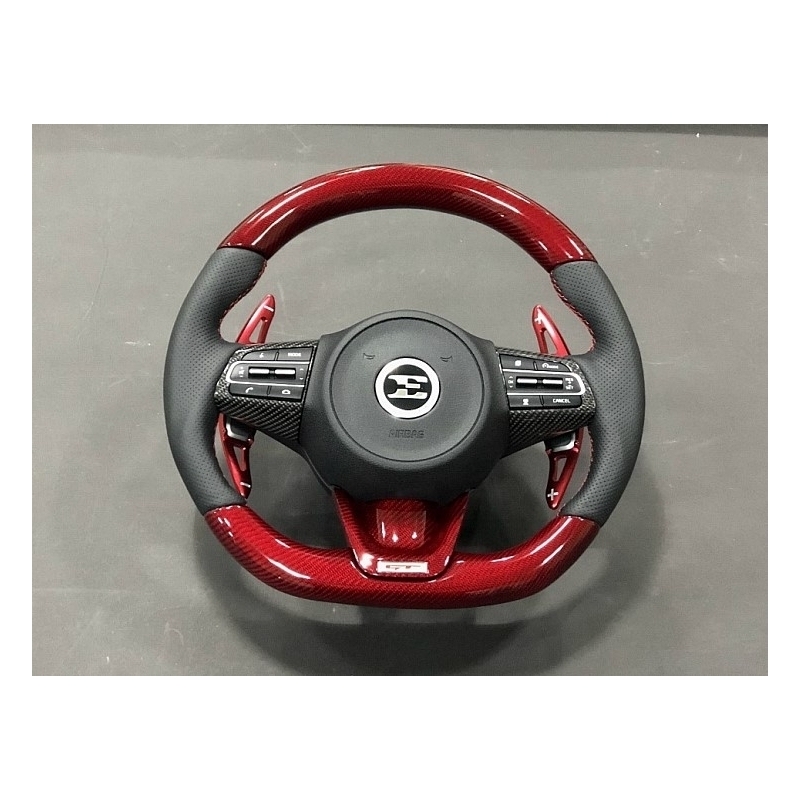 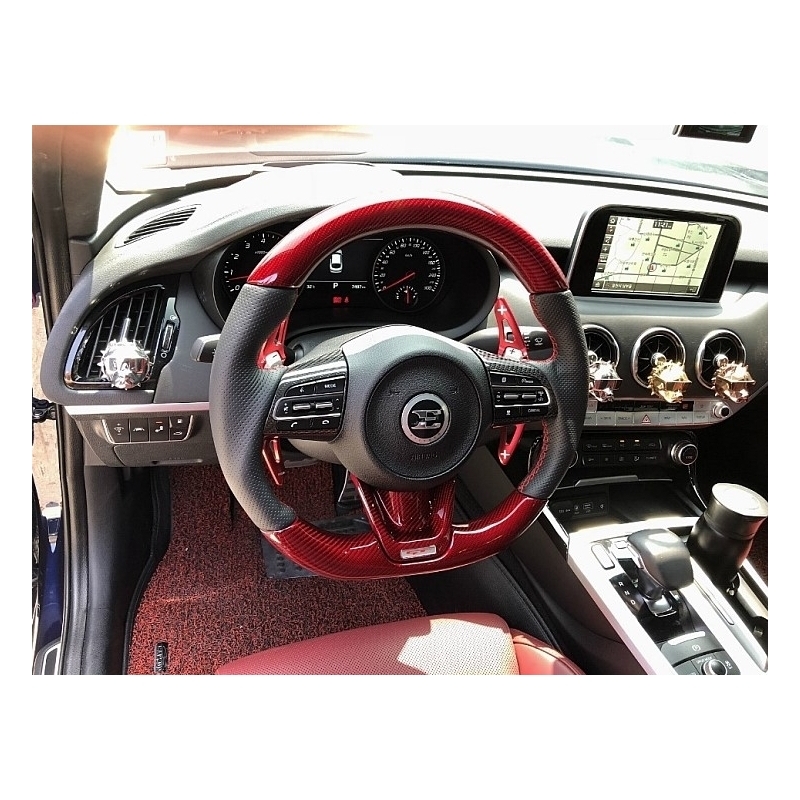 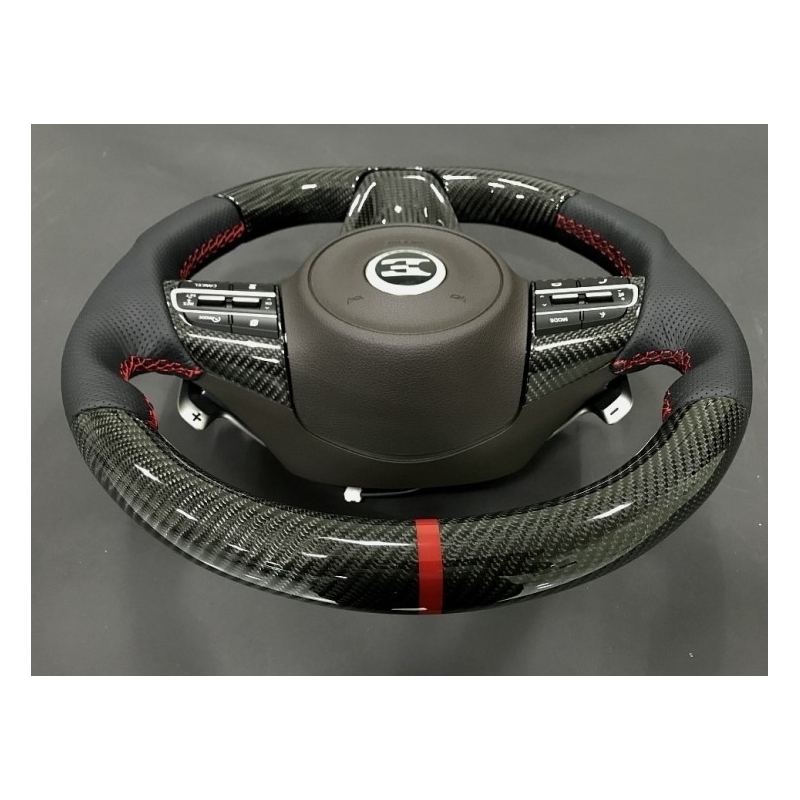 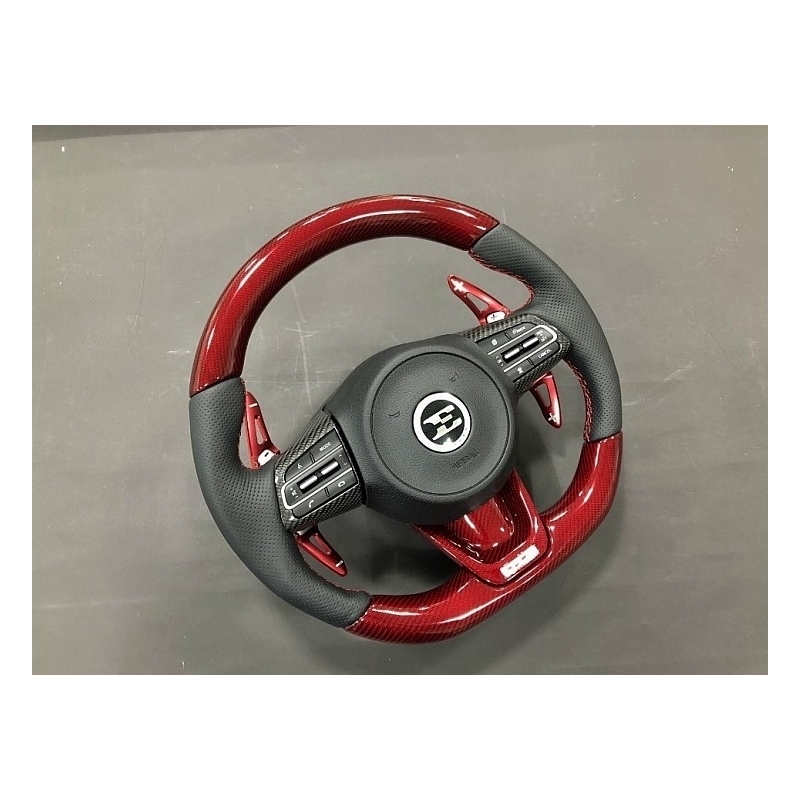 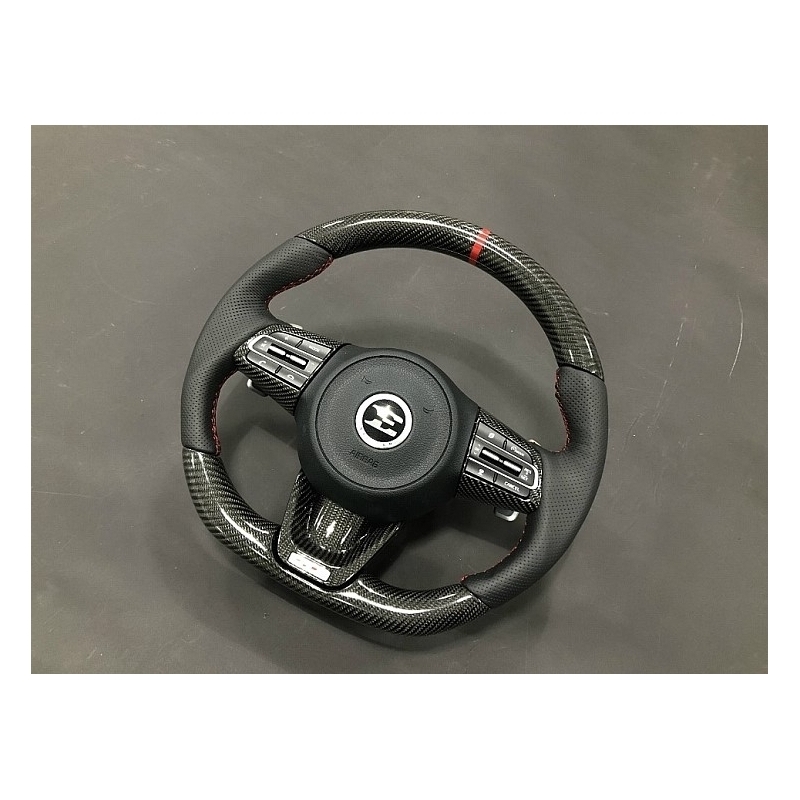 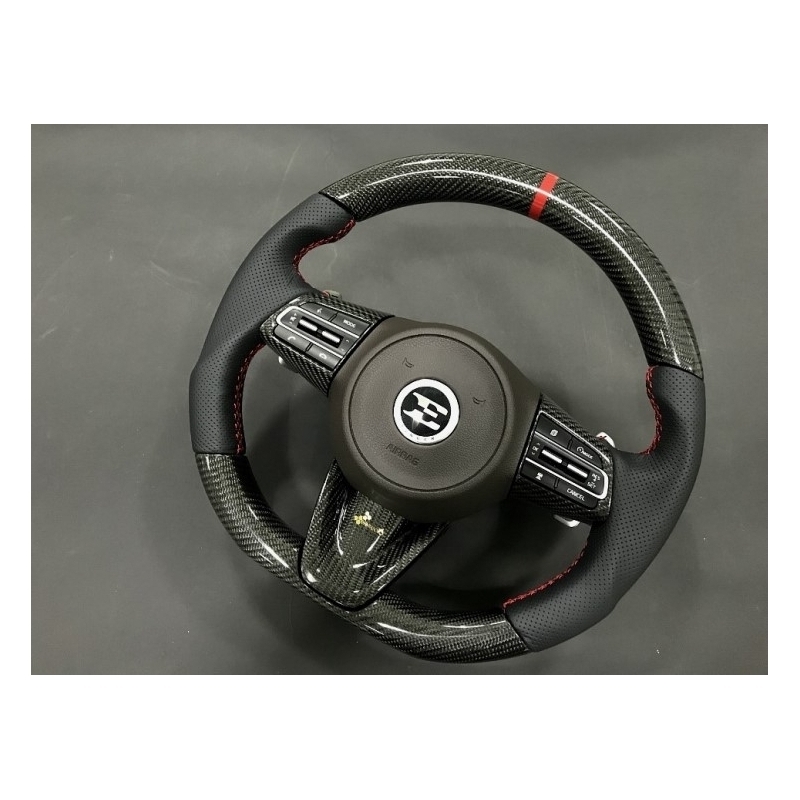 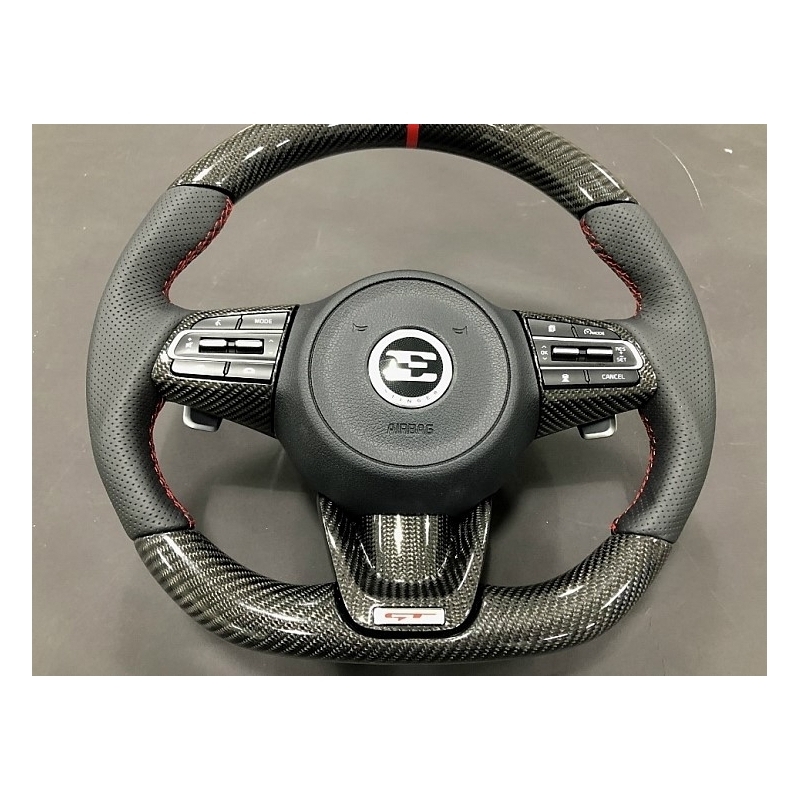 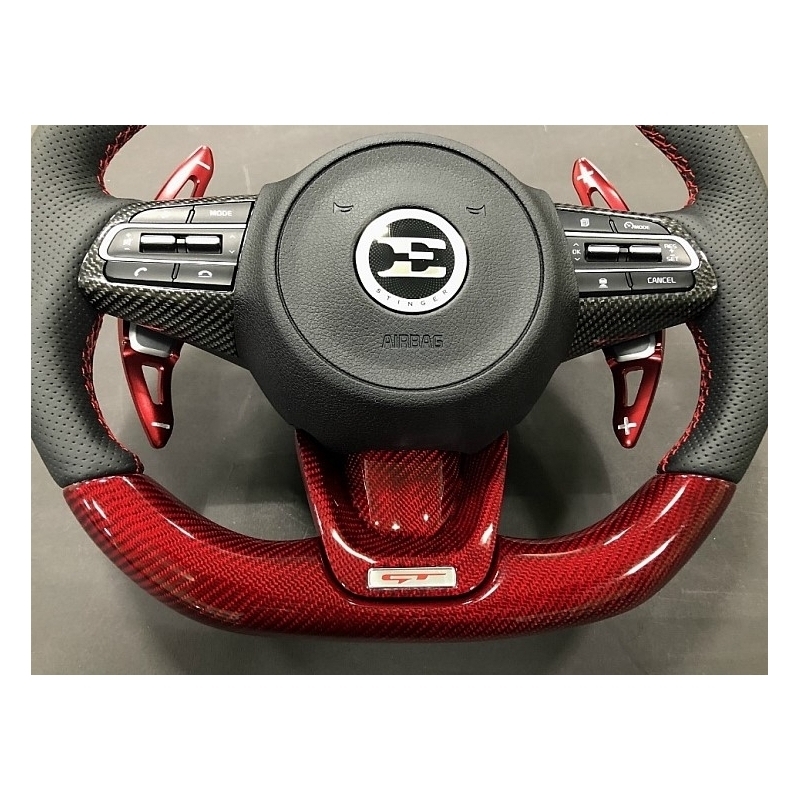 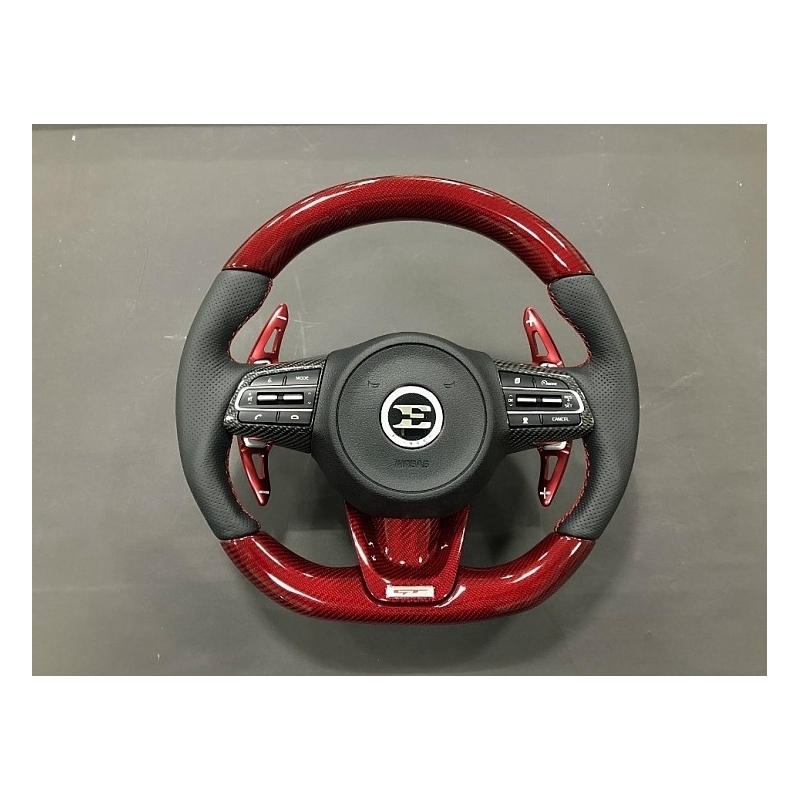 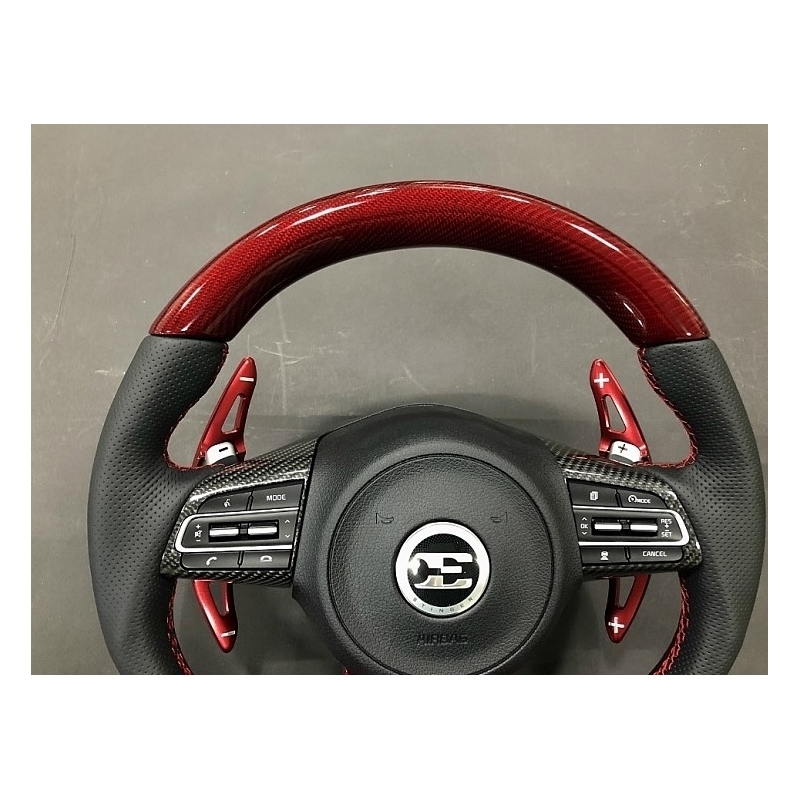 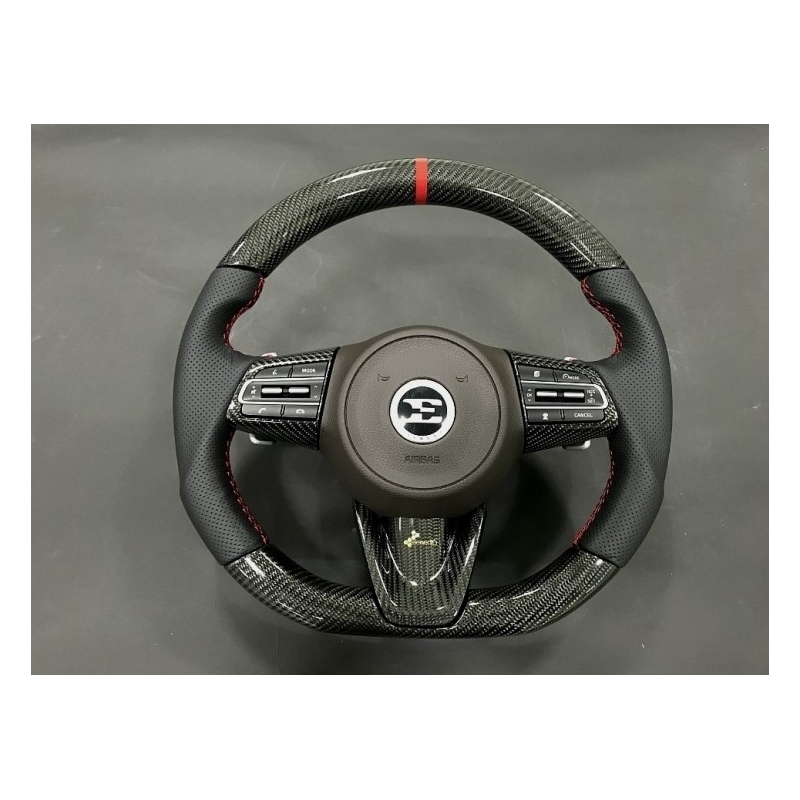 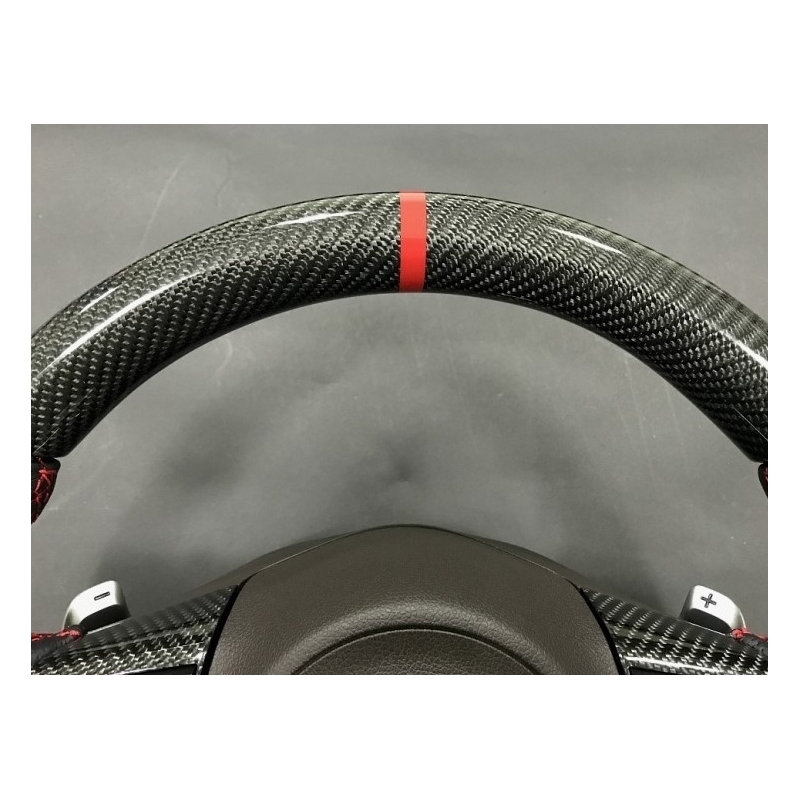 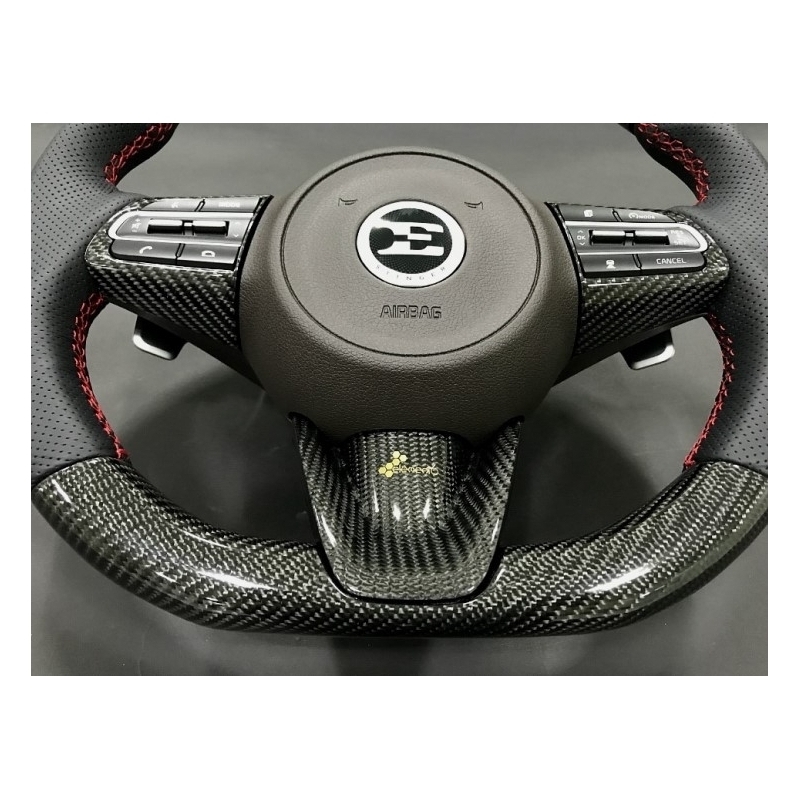 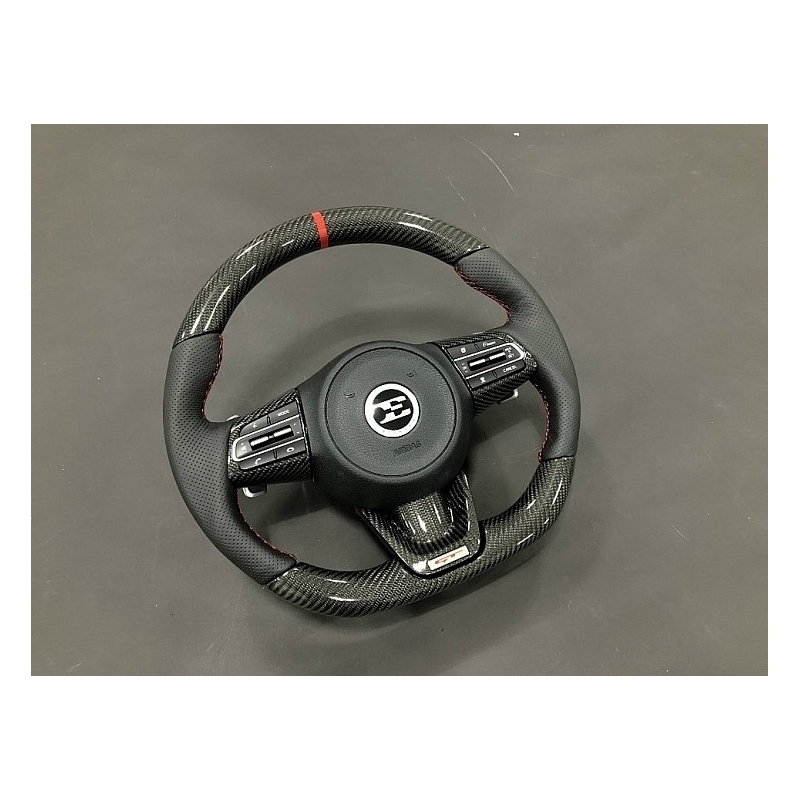 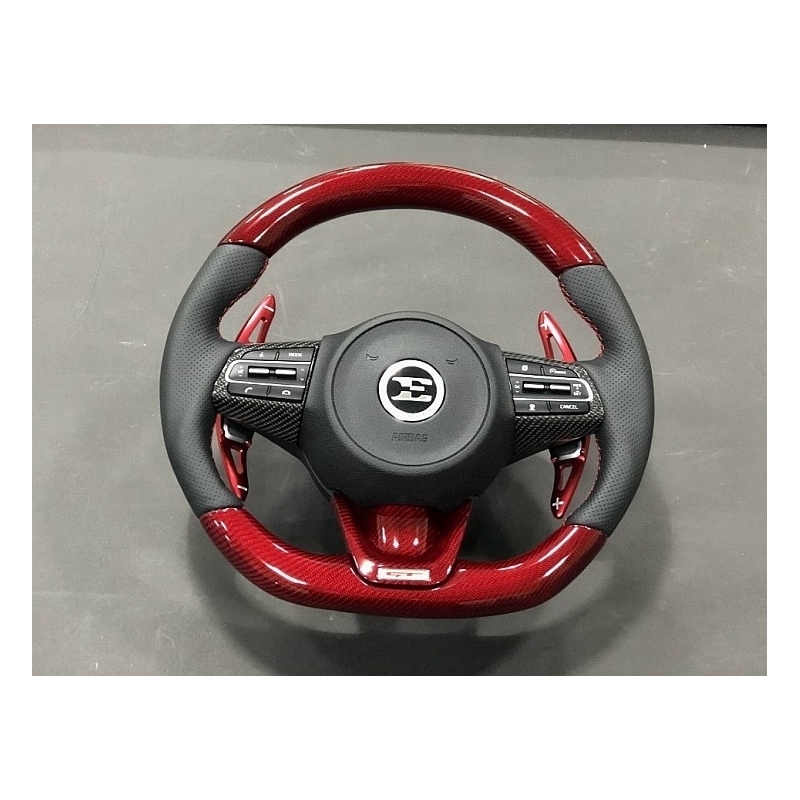 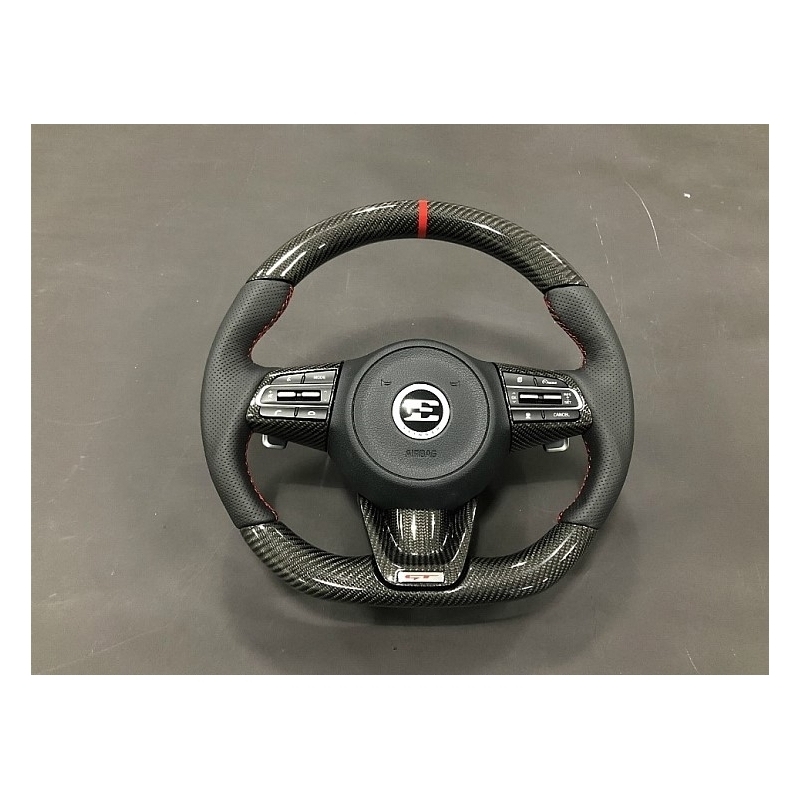 Steering wheel can be wrapped in either black or red carbon fiber fabric and is avialable as standard and heated type. 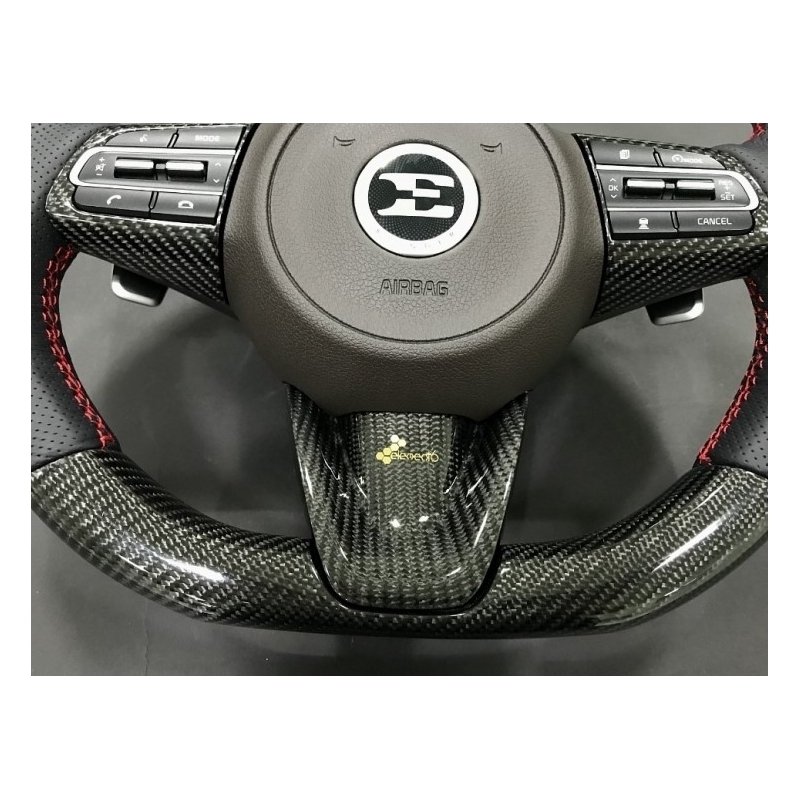 Hand made in Korea by Element6, supreme quality. 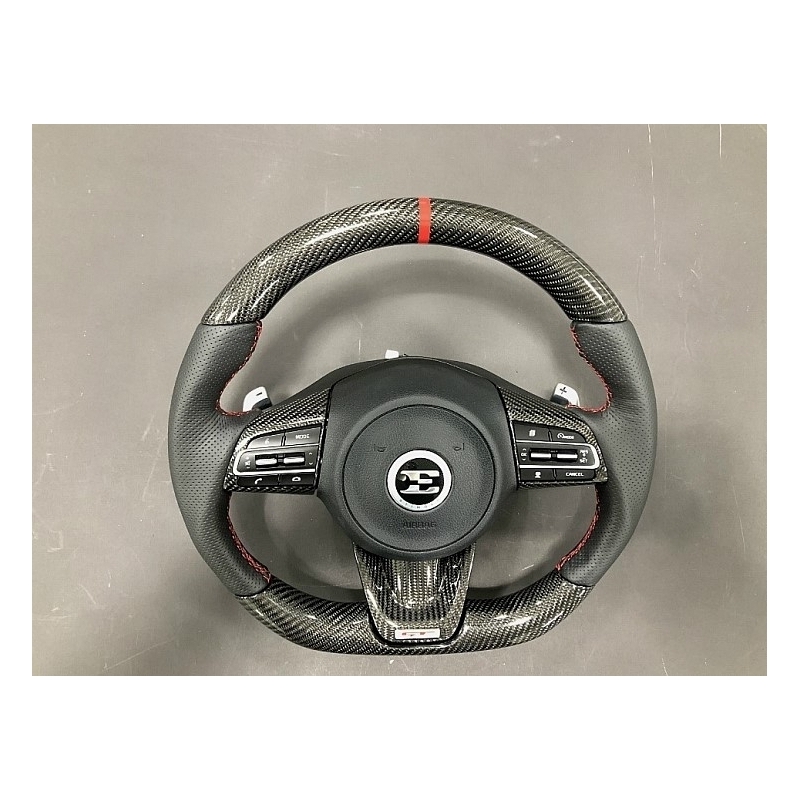 You get replacement steering wheel without the parts marked with arrows. 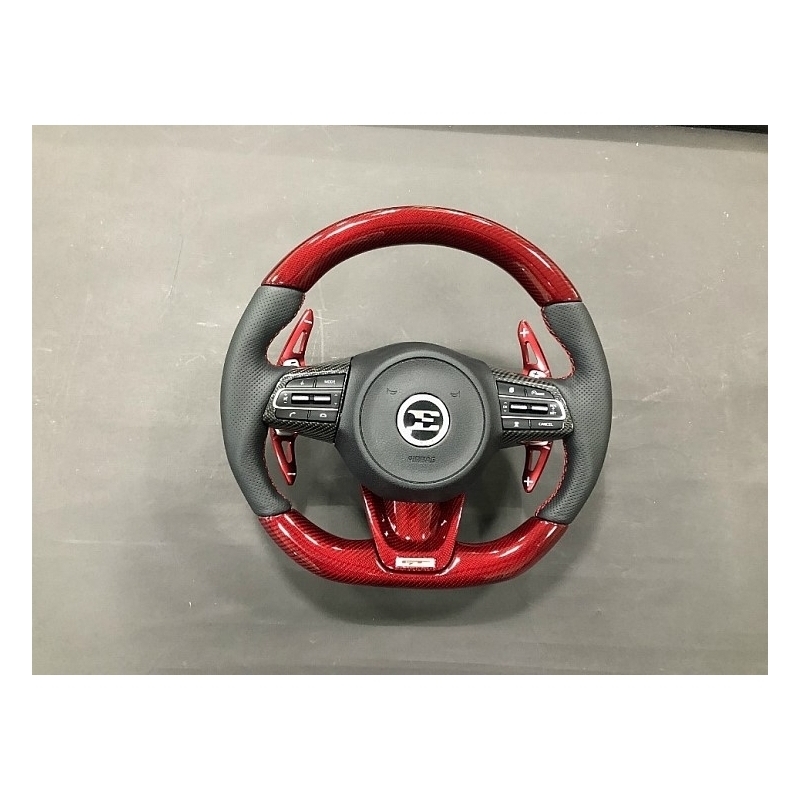 Air bag, part under the air bag, paddle shifter handles and parts one left and right side with switches DO NOT come with the steering wheel!